At 4:00 a.m., I wake to two big brown eyes staring at me in the dark. “Are you okay?” I ask, then I rub my dog Millie’s ears. She doesn’t say anything, just continues to stare. I’ve written about her seizures before and while (knock wood) she has responded remarkably well to the medicine we have been giving her for the last several months, I’m always a little fearful when she wakes me up in the middle of the night. She doesn’t seem particularly agitated, she just stares at me. She really does have the prettiest eyes, even in the dark, even at 4:00 a.m. I ask her if a treat might help her sleep. No response, but when I get out of bed and walk into the kitchen, she and her brother Rick clamor into the living room, assuming their treat stances on the couch. “Thank God you have the stamina to eat, Millie.” I’m kidding, but it’s a prayer too. The three of us return to the bed, Eric trying to sleep through the commotion. We are, none of us, quiet souls. Ricky circles twice and settles into his spot between Eric and me. Millie sits regally, still staring at me from the foot of the bed. I lie in bed, unsettled, alert. I hope that Millie will settle like Ricky, but she doesn’t. I get up, walk into the living room, turn on a lamp, grab the book I am reading. Almost immediately, I hear someone charging into the room, onto the couch. Millie plops herself into my lap. Seconds later, Ricky joins us, gluing himself to my right side. For several chapters, I read my book, a memoir, another person telling me their story. Trying to illuminate their journey in a way that will illuminate mine. I’m not complaining, but it’s not the easiest task, reading a book while petting two dogs at the same time. Turning pages is a trick and sometimes, one of the dogs actually rests their head on the book. Any port in a storm. If I pet Millie but not Rick, he glares sadly. If Ricky moves closer, Millie tends to snarl or even snap at him. Poor Rick. So the best thing is just to pet them both at the same time. Stop petting both when I have to turn the page, resume petting. No one said life is easy. I didn’t have to work today. As I read my memoir, in the middle of the night, hoping to get sleepy enough to return to my slumber, it strikes me that all in all, it isn’t the worst of situations. These (mostly) sweet puppies keeping me company, this book, my couch, my apartment, the saint in the other room, my life. I nod off mid page, then jump. After that happens twice, I get off the couch and return to bed. Millie and Ricky bounce onto the bed. Ricky circles twice then settles down. Millie roots between the blanket and bedspread then burrows herself not far from my feet. Relieved that Millie is now sleeping, I lie in bed, pondering my life. I hate my job. Not every aspect of it, but enough. I do like the people I work with and I’ve been in the work force long enough to know that counts for something. I guess a few jobs are like this, but I sometimes marvel that my co-workers and me, we often see people at their very worst, their most unkind. Some days it’s staggering. I do not see people as intrinsically good anymore and there was a time that I did. And I wonder if I will ever turn a corner and see the good in people before I see the bad. Anyway, after some tossing and turning, I get up again and I return to my couch, return to my lamp, return to my book. This time, only Ricky joins me. I hope everyone reading this has at least one soul, human or otherwise, who loves them as much as Ricky loves me. The sun has started to rise by the time I return to bed. I sleep for a few hours, get up to give Millie her pill then sleep for an hour more. I get up and drink my coffee, already made. Besides making the coffee, Eric has also walked and fed the dogs. Then I go to church. If I were to ever write a memoir, I don’t think those hours on the couch with a book and two dogs would ever make it past the first edit. It’s not really a story. But maybe it is. Maybe its the story of my life and I don’t even realize it. When I lived in New York, on my days off from work, I would sometimes go to the Jefferson Market Library in Greenwich Village, check out a few books, then wander somewhere around there for lunch. 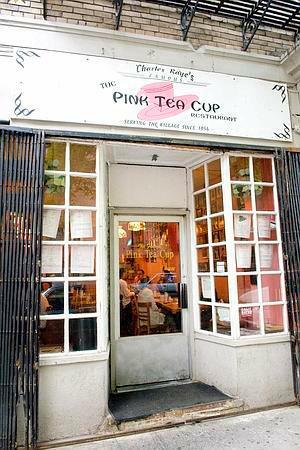 One of my favorite places to have lunch alone, just me and a book, was a soul food restaurant, a neighborhood staple, called The Pink Tea Cup. I ordered the same thing every time, a burger special that came with fresh cut fries, a slice of sweet potato pie, and a cup of coffee. I was usually one of only a few customers during the hour or so I’d sit and read my book and eat my meal. It was a cozy joint and I especially liked going in the winter. I remember one year that I did not think I would be able to fly home for Christmas, whether it was because of money or getting shifts covered or both, but at some point, the heavens parted and I was able to get a plane ticket and make arrangements. I celebrated by taking myself to a late lunch at The Pink Tea Cup. I could not help but be conscious of the color of my skin while I dined there, but there was something Southern and familiar and comfortable about the place. I sat and ate the home cooked meal and looked forward to the home cooked meals my Mother would have waiting for me when I made it to Kansas for the holidays. I just finished reading Tell Me How Long the Train’s Been Gone by James Baldwin. There was a section of the book where the protagonist, a successful African American actor named Leo Proudhammer, recalls working as a waiter in a Greenwich Village restaurant called The Island that sounded, if only to me, a bit like The Pink Tea Cup. Leo remembers serving Hopping John and chicken and ribs and I closed my eyes and saw all the action taking place at my old haunt, a place that still looked like 1968 even in 1993. I am mostly drawn to James Baldwin for three reasons. He wrote often about New York, a city I love. He wrote about the Church, it’s complicated burdens and emancipations. And probably mostly, because he wrote about homosexuals, because he was one himself. I identify with James Baldwin. This identification resonated even more in Tell Me How Long the Train’s Been Gone because he wrote about acting, specifically his character’s technique and process and it gave me an idea what it must have been like to be an actor in the ’50s and ’60s New York, a time and place that produced some pretty exciting actors, not to mention writers. Everytime I write about Baldwin, I feel a little foolish. What could a very white boy from Kansas have to offer when talking about one of the greatest African American writers in history? His experience was not my experience. It’s kind of ludicrous for me to say, “Oh I LOVE James Baldwin because he wrote about New York!” It sounds like I’m talking about Cindy Adams. But there is something about the way he wrote about New York and Evangelicalism and sexuality that drew me into his world, that captivated me. And once he had me, has me, for James Baldwin’s work is ongoing, by seeing how much we are alike, he also reminds me of how different we are. I learn from his experience; it’s my hope that reading about his specific African American experience makes me a more sympathetic, empathetic, knowledgeable person. I think there is, in his writing, an attempt to shame me for the wrongs my ancestors did, just as I think he tries to hurt his father, even though he loves him, for being cruel and abusive and embittered and drunk when Baldwin was a boy. Baldwin offers a knife in the side and then a blanket for comfort. It’s no surprise, really, that I feel a pang of regret for saying that something in Baldwin’s writing intends to punish or wound me. While I am gay and have always felt like an outsider, the color of my skin, reminds me, how much of an outsider could I possibly be? I’m much more Barbara, the secondary character of Tell Me How Long the Train’s Been Gone, a white aspiring actress who fled Kentucky in hopes of making her way in New York City, who forges a life long intimate relationship with Leo Proudhammer. Leo’s love for her is visible and tenable, but in the 20 years of their friendship the novel spans, there are the knife and the blanket and neither are ever very far from each other. I really don’t know where I am going with all of this. Baldwin raises more questions than he answers for me. But God, I love him. I love the way his stories burrow into me and I laugh and I weep and I think to myself, “This is MY STORY. He is telling my story.” And the ridiculousness of that statement doesn’t even occur to me until I am pages ahead. I had the afternoon free, my morning swim done, a backyard barbecue to attend in the early evening. And I know this sounds nerdy, but I wanted to go on a little date with my other city love, my main squeeze, Los Angeles. 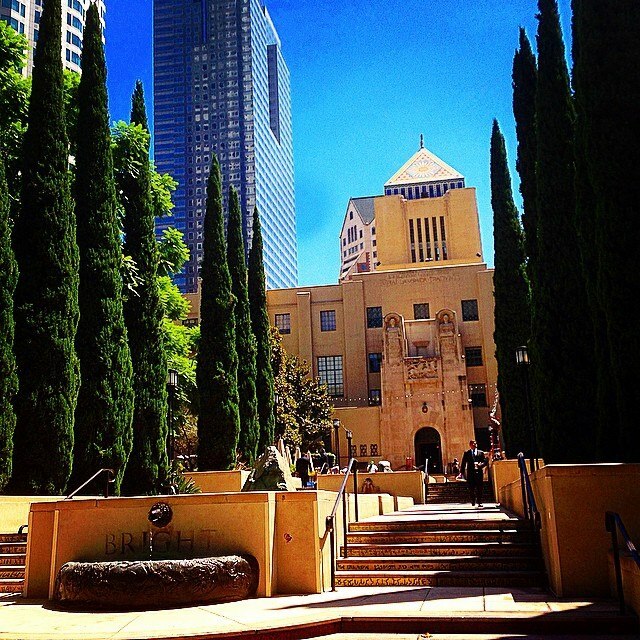 So, I drove downtown to one of my favorite haunts, the Central Library. I parked my car in the garage, since parking is only $1 all day on Saturday and Sunday, during library hours. And lucky me, as I was stepping into the grand entrance, I saw a sign that said a free tour of the Maguire Gardens was starting in front of the gift shop at 12:30. I looked at my watch. 12:28. I scurried to the gift shop where I found a petite woman, a little older than myself, in comfortable shoes and a sensible straw hat. She was standing alone. “It’s going to be a good one because you’re by yourself.” And we were off, and her words were prophetic. We toured the gardens for some 45 minutes while she shared the history of the library, pointed out key architectural and artistic features, including the friezes of Herodotus, Virgil, Socrates, Da Vinci and Copernicus, the Ceramic Fountain, Jud Fine’s Spine Sculptural Installation, the Grotto Fountain, the World Peace Bell, and much more. And because I was an eager student of one, she took me inside and gave me a little history about the Rotunda, the card catalog elevator, and the Therman Statom chandeliers, too. And our bond deepened, she asked where I was from and I proudly told her I was from Kansas. She told me that she had been raised in Pennsylvania. As she told me more about the Central Library’s history, I must confess, I was probably equally interested in her personal history. I mean, she didn’t paint a mural or build a fountain or import Italian tiles or anything, but I sensed that her story was part of the fabric woven into the story of the Central Library, too. Here it was, Saturday afternoon, and this kind woman was giving the tour of the century to an attentive party of one. Later, she took me to the section of the library where I hoped to find old pictures of Los Angeles and specifically my neighborhood. She introduced me to a gentleman (“He’s supposedly retired, but this place couldn’t function without him.”) who kindly set me up on a computer and instructed me how to find photos with specific search words. My friend the tour guide told me I was in good hands and disappeared not unlike a fairy godmother. And reluctantly, I had to leave, I had that barbecue to attend and I had to go home and walk the dogs first. I paid my $1 at the kiosk and drove down a quiet Wilshire Boulevard, past MacArthur Park and the Talmadge and the HMS Bounty, on my way home. I walked my dogs and put on a white linen shirt that flattered my summer tan and I went to sit in a leafy backyard with old, dear friends where we ate grilled meats and drank my friend Traci’s signature cocktail. Really, not a bad way to spend a Saturday. It was a quintessentially Los Angeles day. And you know what, you might be reading this and thinking, that’s not MY ideal Los Angeles day! Well, that’s one of the magical things about the City of Angels, it really is whatever you want it to be. It doesn’t take it personally when you complain about traffic or come back from vacation tittering about how amazing New York or Cabo or Portland is. It’s always changing, evolving, but also, always distinctively it’s own. It welcomes all, our crowded freeways remind you of that. It’s everything and nothing like the city you dreamed about when you grew up watching The Brady Bunch and Beverly Hillbillies and Knots Landing. And I love it, I do. I am reading a book right now that I’m not really in love with. All of the characters are unlikeable and it’s set in New York in 2001 and I know something catastrophic is getting ready to happen and I look forward to it, because, like I said, I hate all of the characters. One of the characters was an English major in college, she says at one point that she looks at the books on her shelves and realizes that she read them in college but can’t remember anything about them. I pondered for a moment about the books I read in Bible college. From the entire four years there, between assigned and pleasure reading, I only remember one book definitively. 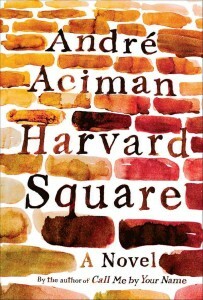 If you and I have talked books, you might even know how much I love this book. It’s a “like” on my Facebook wall. I’ve read it now 3 or 4 times, but you always remember your first. I don’t remember when I started John Irving’s A Prayer for Owen Meany. It must have been over Christmas break of my senior year. I came back to school a few weeks early to go to some kind of convention that was being held on campus. I loved the feeling of walking around campus with 30% of its usual population. And everywhere I went, I carried A Prayer for Owen Meany with me. I ate lunches in the cafeteria by myself, just me and the book. I don’t remember a single thing anyone talked about at that convention, but I remember that book. My roommate had not yet arrived for the spring semester and every night I stayed up late reading. On one of those nights, I stayed awake later than usual, so committed, so spellbound. I measured the bulk of the remaining pages in my hand, questioning whether I should turn in and finish the next day or keep going. I kept going. And then I finished. If I tried hard enough, I could probably explain to you why the book resonated so deeply with me, it’s about unconventional people, it’s about complicated relationships with religion, it takes place in New England (and Canada). There is also something about the ending, the theme of fulfilling the perceived will of God, that spoke to the 21 year old version of me on his final chapter of undergraduate life at a Bible college. All this is to say that I remember this vividly, that the moment I read the last line of A Prayer for Owen Meany, “O God—please bring him back! I shall keep asking You,” I shut the book and started weeping. 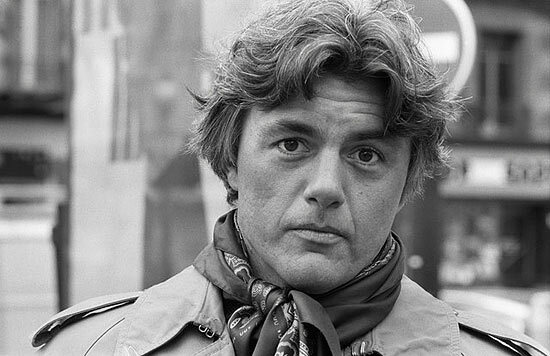 I lay on my little dorm super single bed with a royal blue Montgomery Ward bedspread and wept for poor dead Owen Meany and broken John Wheelwright and John Irving for being so brilliant and for me, preparing to go into the real world and not feeling equipped to do so. And I cried until I was done and then I wiped my tears and put the book on my shelf, took off my glasses and went to sleep. And right now, just thinking about that experience, that kinship, I am there in that January in Missouri cold dorm room, under those covers, reading a book about the world out there, beyond Joplin. If you’ve read this far, you are probably on your own journey, thinking about that book or maybe two that you read at that time, such an impressionable time. And you felt like John Irving or maybe Alice Hoffman or maybe Armistead Maupin or maybe James Joyce had written something specifically, singularly just for you. And what a gift, when you think about it: you will carry that book with you forever, wherever you go. I do not think I would make a good reviewer. 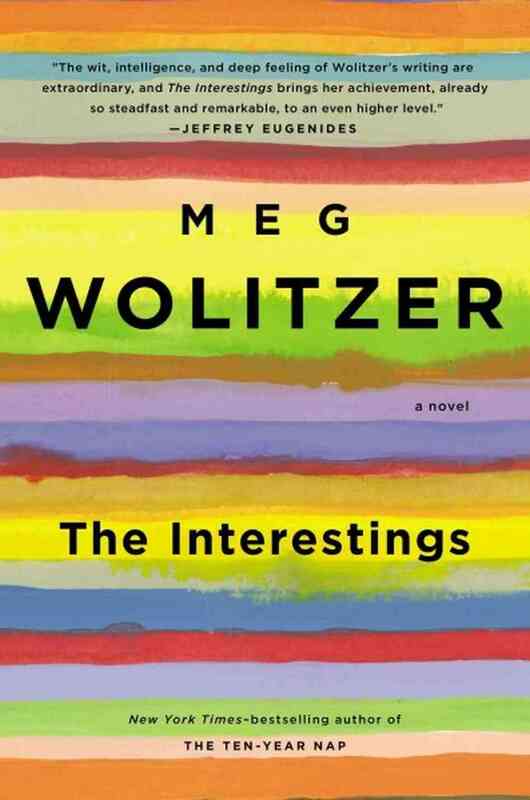 My reviews would be divided into “I liked it” or “It was…okay” or “I hated it.” The body of my reviews would be, “I don’t know, I just really enjoyed reading it or watching it or listening to it.” This is not a review of The Interestings by Meg Wolitzer, but even though I’m only on page 248 of the book’s 468 pages, I could give you my review, were I in the review business: I love it. I know there are much sadder things in the world than this, but I have not finished a book since December. For the last three months, I have picked up books that I’ve slogged through, then given them up somewhere within the first 150 pages. The books would sit untouched on my side table, and I’d look guiltily at them every time I’d glance in their direction. It’s kind of my own fault; suffice to say, if you’ve read the biography of one gay alcoholic 20th century writer, you’ve sort of read them all. A few months ago, my friend Sienna, who I’ve been in the same room with twice and our friendship is mostly cultivated on Facebook, told me that I would love The Interestings. You can learn a lot about people from their Facebook activity, and Sienna, in her acuity, nailed it. I do love it. It’s about New York in the 1970s and New York in the 1980s and current New York and New England summer campers. The only thing that could make it more interesting is if the characters all went to an Amy Grant concert in Central Park in the 1990s. Unlikely, but, you never know, I still have over 200 pages left. If you are a reader, I think you can relate to that feeling you have when you’re reading a book that you love, when it’s the last thing you read before you go to bed at night or you wake up thinking, I could read for 30 minutes before I have to get ready for work. And wherever that book is set, you are there for the duration. I wasn’t the only 20-something that spent weeks in 1970s San Francisco while feverishly reading the first six Tales of the City books. I wasn’t the only midwestern teenager who spent a few days tooling around Holden Caulfield’s Manhattan. And I’m not the only person, with fond but complicated memories of summer camp, intimate but complicated relationships with more successful old friends, that has read and connected with The Interestings. At work yesterday, a few of us were talking about books. Kristin talked about how she loved when a book was so interesting she had to read it while she walked to the bus stop. Ian confided that he had not finished a book in 10 years. “I wish I loved reading books,” he lamented. But books are just a method of taking a journey and Ian loves movies and television the way others loves books. We are what we are. And right now, I am in the middle of a journey and I think about my new friends Jules and Ethan and Ash and Jonah Bay constantly. I don’t know what’s ahead, as I said, I’m only on page 248. Will Cathy Kiplinger resurface? Probably. Will I forgive Goodman for what he did? Unlikely. Will one of the Interestings die before the book ends? I have a feeling. But I am in, absorbed, captivated, interested. And I have to wrap this little post up and get back to my book, because I still have 10 minutes before I need to get ready for work. Like a lot of people, I try to always have a book that I’m reading. Ever since I was little, I’ve loved books. 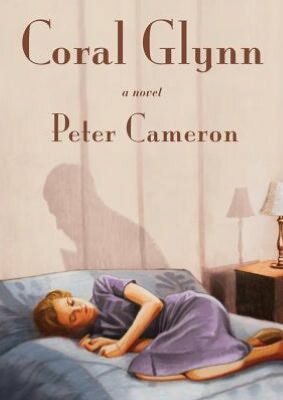 The two books I just finished, Coral Glynn by Peter Cameron and Harvard Square by Andre Aciman took me on similar journeys. Each time, I was reading the book, enjoying it somewhat, and then halfway in, something happened and I could not stop reading until I was finished. With a turn of a page, I went from liking to loving. It’s not uncommon when that happens, but it doesn’t occur every time. Believe me, I hope it will happen soon with the book that I’m currently reading, which I have been reading for over two weeks now. Not long ago, someone asked me if I was a writer and I replied, no, I’m not, but I am this delusional person who reads something and feels like he’s written it. That’s what I said at the time and I’m not saying I’m not delusional, but what I think I meant was reading is a collaboration. When you read something that affects you, you are in cahoots with the author. I’m not saying Peter Cameron or Armistead Maupin or Edmund White or John Irving write for only me, but sometimes it does feel that personal. Saul Bellow famously said, “A writer is a reader moved to emulation.” I guess that’s why I started this blog. I’ve felt so clumsy in the last two weeks trying to weave these pieces together, it’s been humbling. It’s also been intoxicating. Last week, I wrote a sentence, so well-crafted, I could not believe it came from my consciousness. I’m still congratulating myself, clearly. But with the highs and lows, I keep going in hopes that eventually, with a turn of a page, I’ll go from reader to writer.